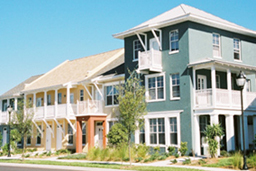 In partnership with a private developer, the Bradenton Housing Authority assembled a successful $21.5 million HOPE VI revitalization grant in 1999 for 350 units and related commercial facilities. 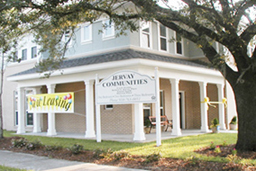 Building off that success the project was awarded two rounds of low-income housing tax credits from the Florida Housing Finance Corporation. The first phase of this development began leasing in the winter of 2002. This challenging lease up combined; returning residents, LHA preferences, attracting market rate renters to a formally distressed neighborhood and meeting tight placed in service deadlines. CTG managed the lease up and met or exceeded all lender and syndicator deadlines. LendLease (now MMA), a nationally recognized figure in affordable housing, complimented CTG on the files, the ease of lease up and the implementation of first year file storage on digital media. A copy of a Bradenton Herald article immediately follows this section. 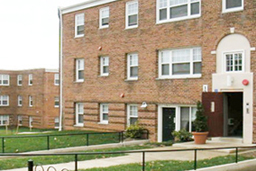 CTG assumed management of this property in 1998 when the property was acquired and prior to the allocation of Multifamily Revenue Bonds and Tax Credits. CTG developed and implemented an on and off site relocation program for the existing residents and worked closely with the Owner and Contractor during the renovation of this complex. Faced with numerous unexpected construction delays, CTG was able to aggressively market the property and has met or exceeded all of the unit delivery schedules of lenders and the syndicator. The property achieved its last hurdle on May 1, 2003 when it surpassed 92% occupancy. All households in the development are LIHTC qualified. Partnering with a private developer, the Wilmington (NC) Housing Authority has undertaken a $33 million revitalization of the 190-unit Robert Jervay Homes. A tax credit application with the North Carolina Housing Finance Agency was approved for approximately $13 million. Telesis will build and operate 100 LIHTC units with the tax credit equity and HOPE VI funds and an additional 90 lease purchase or homeownership units with HOPE VI and private construction funds. A Mixed Finance closing occurred for the 100 units of mixed income rental housing in late 2002. After several construction delays, lease up was completed on the 100 tax credit units in the summer of 2004.